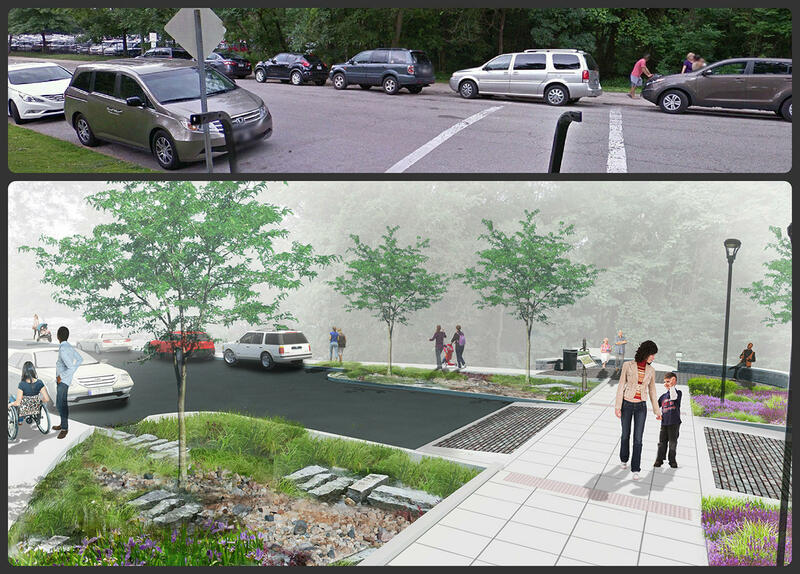 The photo above and rendering below show improvements comeing to one pedestrian crosswalk along Government and Wells Drives. The roads will be repaved and crosswalks, sidewalks and street lights will be added. “If you were to go to the zoo a couple of months ago, you might have parked on Government and Wells and if you had a baby stroller, you had a little bit of a struggle to find a smooth surface to head down Government towards the zoo,” said Stephen Schenkenberg, communications director for Forest Park Forever. Schenkenberg said he’s received letters and emails for years asking if Forest Park Forever planned to improve the area. It’s been on a project wish list for more than a decade. 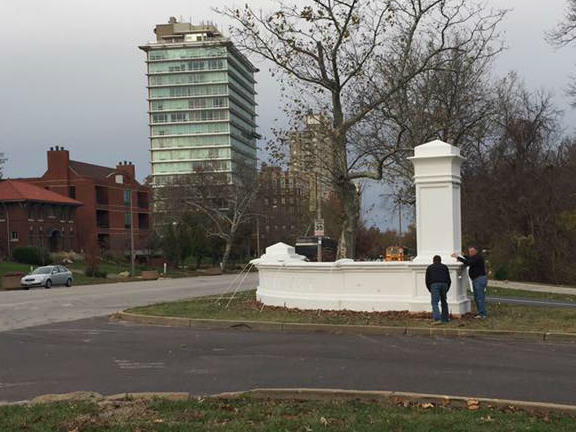 Portions of Wells and Government drives in Forest Park will be closed until Summer 2017. 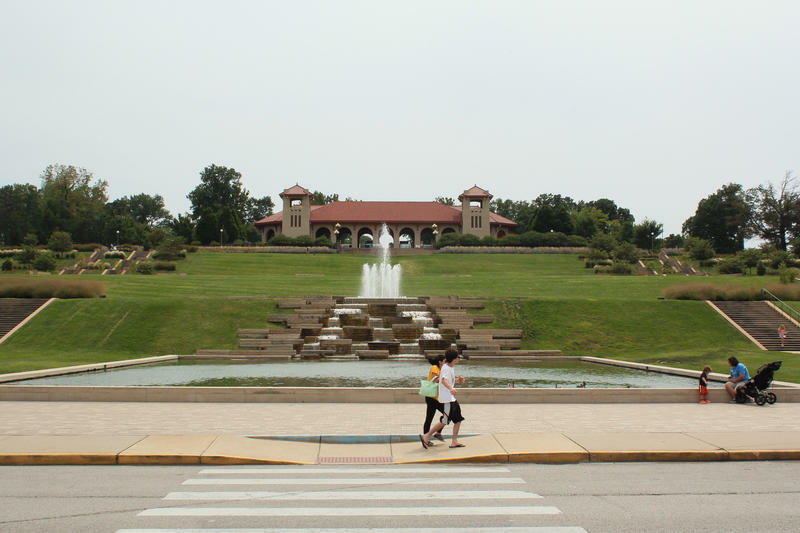 The southern entrances to the park from Tamm Avenue and Hampton Avenue will remain open during the project, providing alternate routes to the zoo and the St. Louis Art Museum. 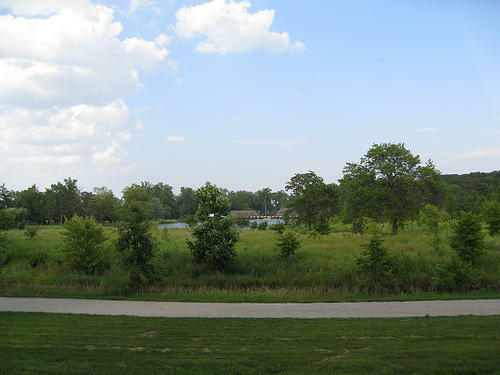 The improvements, which are part of the second phase of Forest Park Forever’s capital campaign funded through private donations, will cost $5.7 million. Government and Wells Drives are slated to reopen in June. 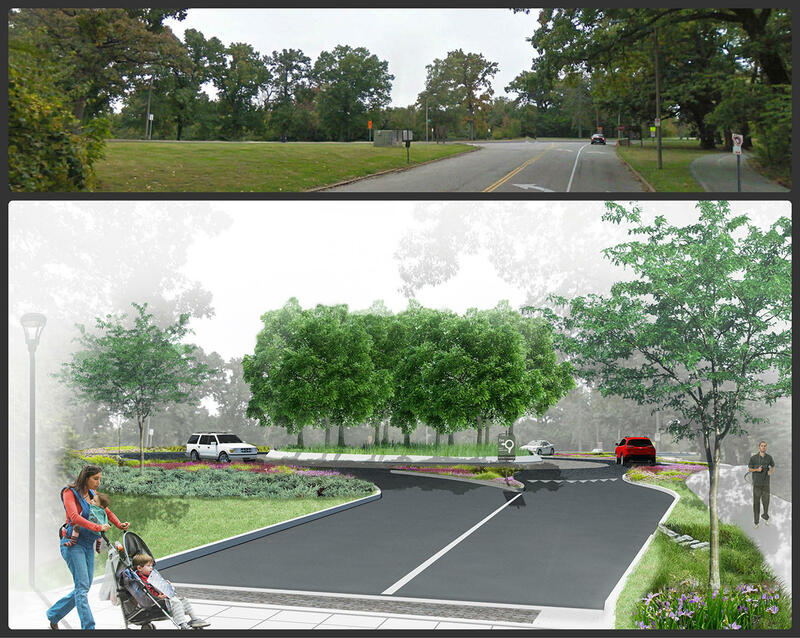 The photo above and the rendering below show how this roundabout will be rebuilt to ease traffic for both cars and pedestrians. 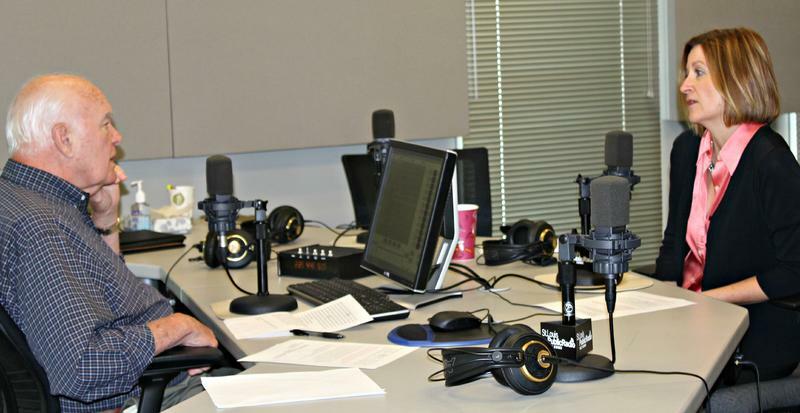 Follow Camille on Twitter: @cmpamille. 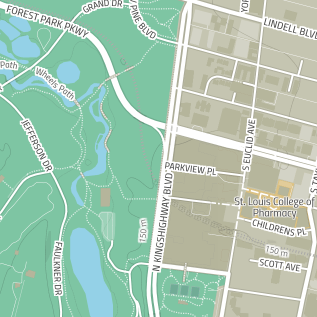 Forest Park turns 140: St. Louis jewel was recently voted ‘best city park’ in U.S.
St. Louisans have plenty to be proud of when it comes to Forest Park. In the summer, the park is bustling with musicals, plays, cool museums and many other recreational activities. Recently, the park was voted the best urban park in the United States by USA Today. 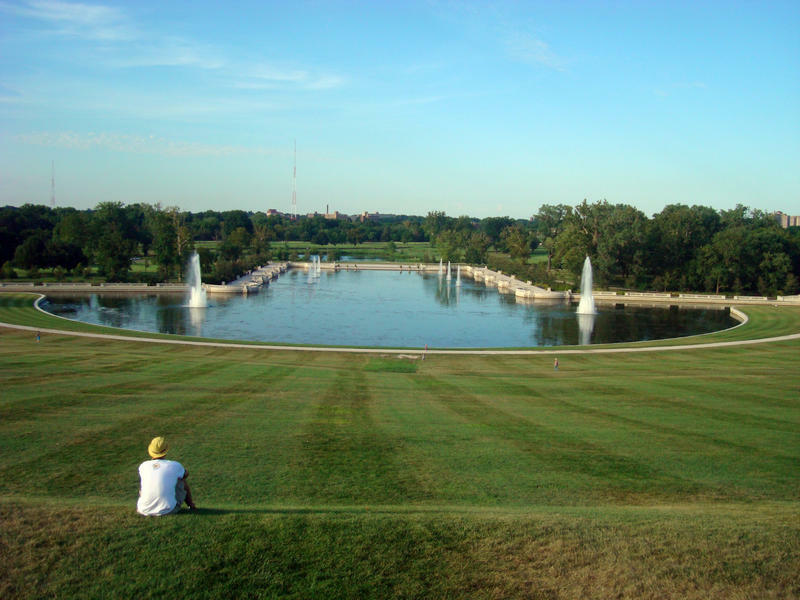 It also made it onto a list of the nation’s best city parks, curated by Thrillist. Forest Park Parkway near Barnes-Jewish Hospital in the Central West End is closing until at least next summer starting Monday. 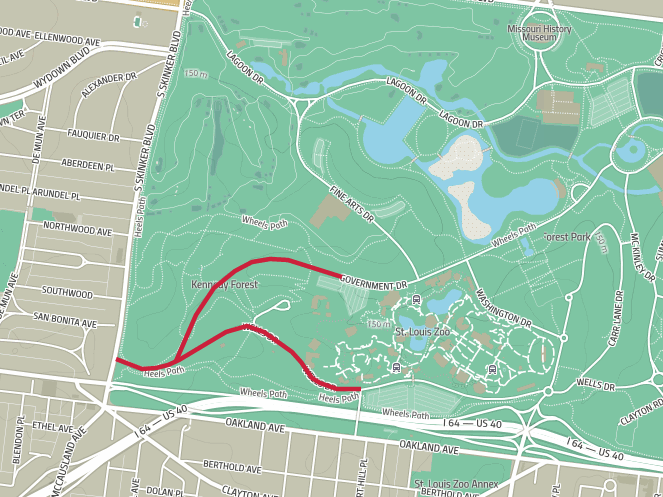 The road, which runs below Kingshighway, will be filled in to connect at-grade with the intersection. The $10 million project is designed to improve access and safety for patients, visitors and neighbors, according to June Fowler, BJC’s senior vice president of communications. “We thought it was important to have a traditional intersection so folks who are traveling to the campus would have a more intuitive way to access services,” she said.